I started this last week and already have 9 game piece’s on my calendar. You get at least one piece per day, 2 if you invite a friend. 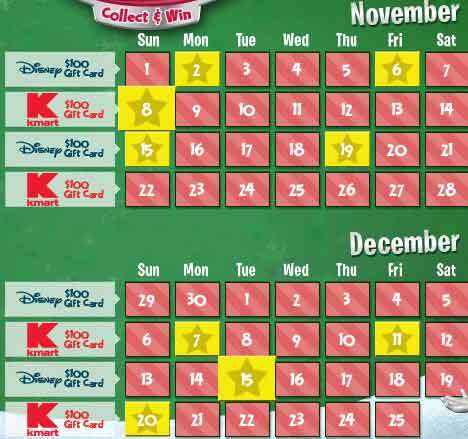 If I make sure to play everyday until Christmas then at least one week is bound to get full, and I’ll get $100! It only takes a minute; totally worth it. Also, make sure to check out K-Mart’s deal-of-the-day offers they are doing each day until Christmas. I get them texted to my phone, so I’ll be sure to post them daily.